Epic Mickey 2: The Power of Two PDP branded controllers unfortunately won’t be sold in Australia when the Warren Spector sequel launches later in November this year. Speaking with a PDP representative at EB Expo, I was informed both the updated Nintendo Wii paint brush Nunchuk controller and the PlayStation 3 Oswald Remote Control Navigator both won’t see sales locally, at least not through any official avenues. 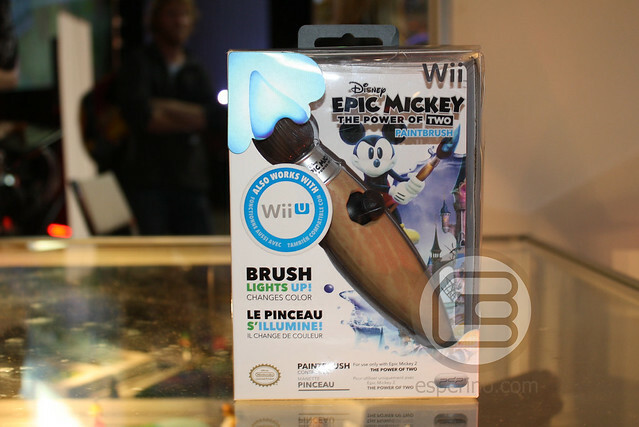 Those that picked up the original Epic Mickey may remember the original paint brush chuk was only available through Big W as a gift with purchase promotion and never sold separately. When quizzed on the reason for the no sale in Australia, the reason remains unclear even to the representatives. 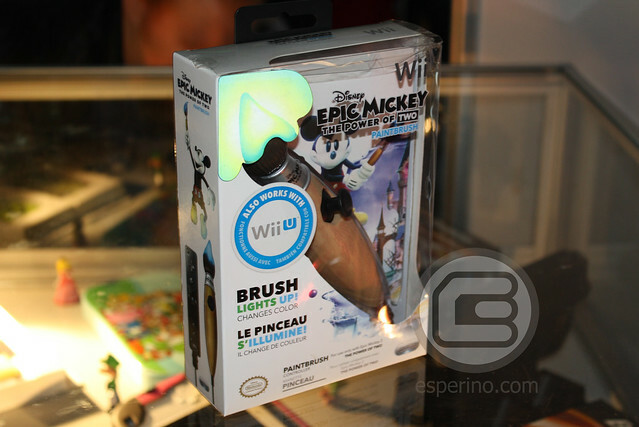 Luckily for me, they did have an Epic Mickey 2 paint brush controller on hand for me to get a closer look at and photograph. It looks very similiar to the original chuk, except for some minor cosmetic changes. The biggest and nost notable change is the paint blob at the top now glows. Depending on what you are doing when playing Epic Mickey 2: The Power of Two, the blob will change colour to correspond with in-game actions. A really nice touch and more reason for my disappointment that it isn’t being sold in the land of Oz. There was no PlayStation 3 Oswald controller at their booth for me to photograph but I’m pretty sure it would be just as gorgeous, and ultimately add to my disappointment. These controllers look and feel amazing. If you were fortunate enough to get one of the Epic Mickey chuks, take good care of it as they aren’t the easiest controllers to come by locally.